The bright and slim Samsung 16mm wide angle pancake lens will allow you to capture exceptional images, even in low-light situations. Optimized for breathtaking scenery and everyday snapshots, the 16mm wide pancake lens provides deeper depth of field with a maximum aperture of f2.4. The intuitive I-Function feature gives users one-touch access to all your camera's manual settings. Adjust the aperture, shutter speed and more with just a twist of the lens while previewing the image in real-time. Plus since it's incredibly slim and lightweight, you can take it with you anywhere. 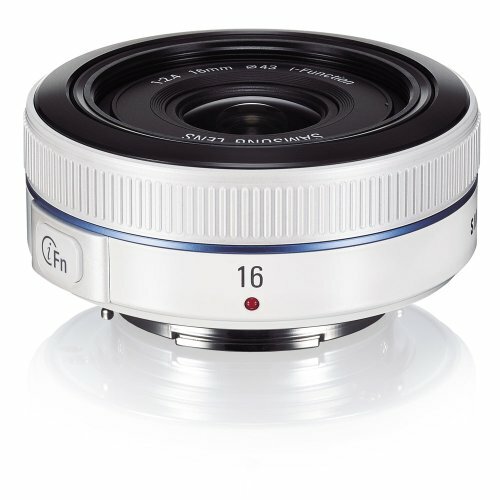 This 16mm f2.4 lens is compatible with all Samsung NX Compact System Cameras.